Taking a quick look back at the previous 1st round draft classes, there have been some franchise altering mistakes made. Starting with the 2010 NFL draft, we picked out the biggest mistakes made by franchises that are in some desperate need of good luck on Thursday at the 2014 NFL Draft! We can start with the St. Louis Rams selection of Sam Bradford. In all fairness, they just had a bad crop of QBs to pick from. The next 3 QBs off the board were Tim Tebow, Jimmy Clausen and Colt McCoy. Maybe they should have gone with Ndamukong Suh, and waited to find their franchise signal caller. Raiders select Rolando McClain 10th overall. Next pick was C.J. Spiller. The only other LB selected in the 1st round was Sean Weatherspoon. Wanted a defensive player? Could have gone with Earl Thomas or Jason Pierre-Paul. The Jaguars made the same mistake with Tyson Alualu with the 12th pick. Broncos select Tim Tebow 25th overall. Denver traded picks 43(Sergio Kindle), 70(Ed Dickson), and 114(Dennis Pitta) to move back into the 1st round for Tebow, who eventually opened the door for Peyton Manning. Wait, maybe that wasn't such a bad pick after all! Lions select Jahvid Best 30th overall. Best has played just 22 NFL games due to injuries. The next RB selected was Dexter McCluster, who also would have made this list, but if they had gone the Heisman Trophy route and selected Toby Gerhart, who knows how that franchise would look today. You could argue Jermaine Gresham before Rob Gronkowski was a bad move, but at least Gresham has produced enough. We might be saying the same thing in reverse had the Bengals landed Gronk and the Patriots got the most out of Gresham. Ravens select Ed Dickson at top of 3rd round, Chiefs take Tony Moeki 2 slots ahead of Jimmy Graham. The next two tight ends selected were Aaron Hernandez and Dennis Pitta. 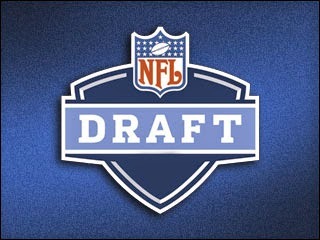 The NFL was in a lockout, draft took place but players could not be traded during the draft, even those just drafted. Only draft picks. Titans select Jake Locker 8th overall. Tyron Smith was the next player drafted. Jaguars select Blaine Gabbert 10th overall. J.J. Watt was the next player drafted. Vikings select Christian Ponder 12th overall. Nick Fairley, Robert Quinn, Mike Pouncey and Ryan Kerrigan were the next 3 picks. 5 of the 6 players drafted around the 3 QBs have been selected to Pro Bowls. Andy Dalton and Colin Kaepernick were drafted back to back near the top of the 2nd round. Chiefs select Jon Baldwin 26th overall. Torrey Smith and Randall Cobb went in the next round. Saints selcted Mark Ingram 28th overall. Lots of other teams missed on RBs in the 2nd round as well until Shane Vereen, DeMarco Murray and Stevan Ridley. The Lions could have drafted Torrey Smith or Randall Cobb over Titus Young and wouldn't be looking for a sidekick for Calvin Johnson. The Browns could have added Cobb as well to play alongside Josh Gordon. Instead they picked Greg Little. The Dolphins were forced to sign Knowshon Moreno this offseason because they picked Daniel Thomas over DeMarco Murray and Stevan Ridley. The 4th round saw TEs Jordan Cameron and Julius Thomas get drafted, after Lance Kendricks in the 2nd and Rob Housler in the 3rd. Browns select Trent Richardson 3rd overall. He is now teammates with the #1 overall pick from this draft, Andrew Luck, and the Browns have an extra 1st round pick in 2014. They can make up for this pick on Thursday. They also could have had Matt Kalil on their offensive line or Luke Kuechly running their defense. Jaguars select Justin Blackmon 5th overall. With back to back 1st round picks like 2011-2012, the Jaguars ruined any chance they had at being ready to compete in 2014. They could have had J.J. Watt & Michael Floyd. Browns select Brandon Weeden 22nd overall. Come on Cleveland! To be fair, the next QBs drafted were Brock Osweiler, Russell Wilson, Nick Foles and Kirk Cousins. It's not like they missed out anyone special. 49ers select A.J. Jenkins 30th overall. 33 WRs were drafted, Alshon Jeffery was a mid 2nd round pick and T.Y. Hilton was plucked out of the 3rd round. Giants select David Wilson 31st overall. 19 RBs were drafted and Alfred Morris lasted until the 6th round. The first two skilled offensive players drafted in the 2nd round were Brian Quick and Stephen Hill. Alshon Jeffery was the next to go. To avoid all the QB drama entering the 2014 NFL draft, the Browns could have had Nick Foles in the 3rd round, went with John Hughes or Kirk Cousins in the 4th, went with Travis Benjamin. Instead, they have to worry about using a 1st round pick on Johnny Manziel, or Blake Bortles. Can't judge a pick after just a single season, but you can still wonder what if! What is your biggest question mark from last season's draft? Who are this year's safest draft picks? Who is your top QB? Let us know in the comments section!